So how has 2014 been for you? Full of great new instructions, dream clients and a healthy bank balance? Or has it been disappointing, and not what you’d hoped for? I’ve enjoyed the most amazing year! Some of my clients have smashed through their goals and beyond. I’ve had clients who have won awards and been featured in the press, and those who have doubled their fees and trebled their profits; I can’t wait to work with them again over the next 12 months to watch them enjoy even more success. Do you want to make 2015 the best year ever for you and your agency? I’m opening up some coaching spots next year, and would like to invite you to have a chat with me, and see if it’s a good fit for us both. 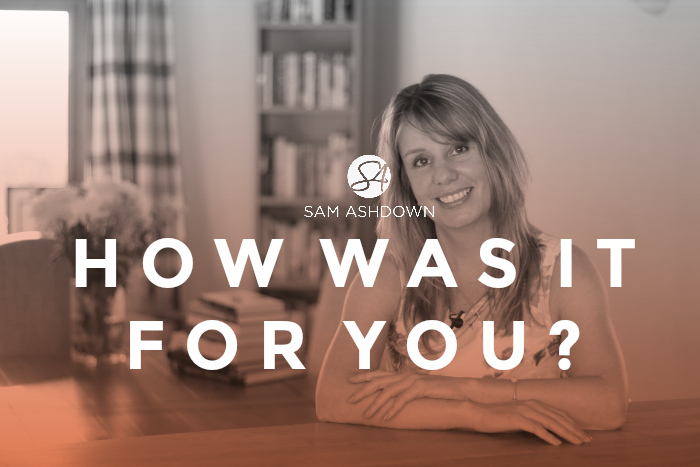 My coaching could open the door to the best success you’ve ever achieved in your business, but only if you’re clear on your goals, and are happy to accept you may need help to get you there. If you’d like a chat with me about how 2015 could be your best year ever, send me an email and we’ll book in a time to talk in January. In the meantime, I’d like to wish you all a very Merry Christmas, and a Happy New Year from me and my fab team here at Sam Ashdown. What to read next: Are you an Award-Winning Agent? Previous post Are you an Award-Winning Agent?